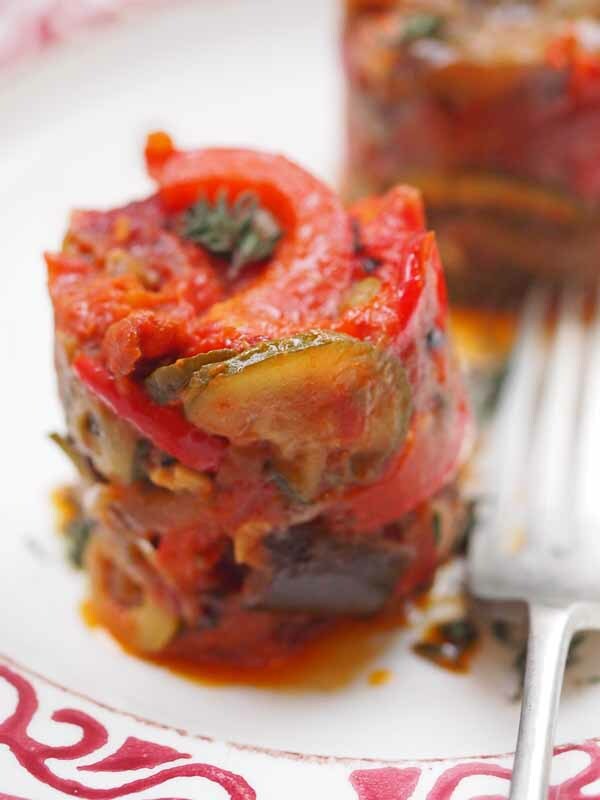 Ratatouille Puttanesca – Sounds a real mouthful that title doesn’t it? Actually this is one of my very favourite dishes. 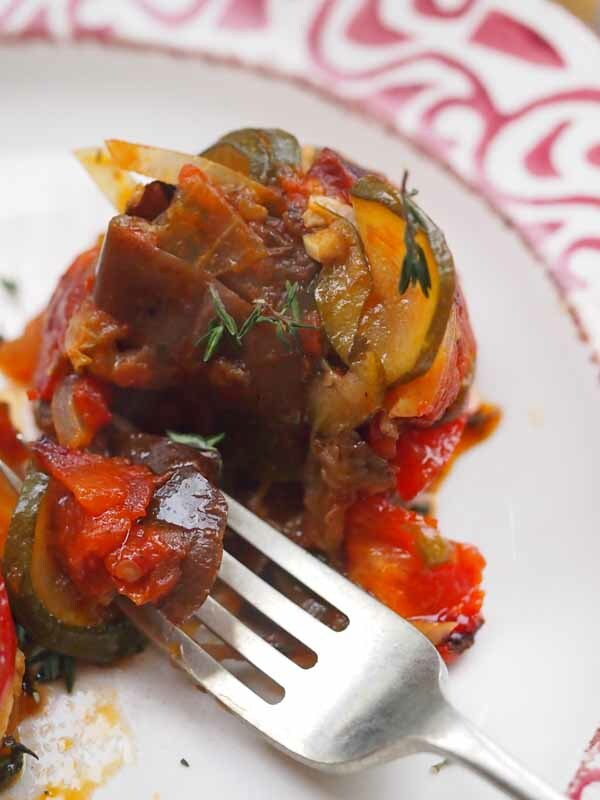 Comfort food that transcends the seasons and as the name suggests it is a mixture of that classic veggie ratatouille recipe and the robust simple pasta sauce puttanesca. The puttanesca bit actually comes from the Italian for whore, meaning this was the slovenly woman’s pasta dish, every easy to throw together. Hmmmm let’s not go too far into that one shall we. Anyway this one really is so easy to pull together and tastes wonderful. It is another of my fridge and larder standby dishes that can use up anything hanging about. This time I threw in some chorizo sausage to add a bit of meatiness, but often just do this without. I served mine just with crunchy Italian bread to soak up all that lovely tomato juice and flavour. You can make it go further by serving with your favourite pasta. 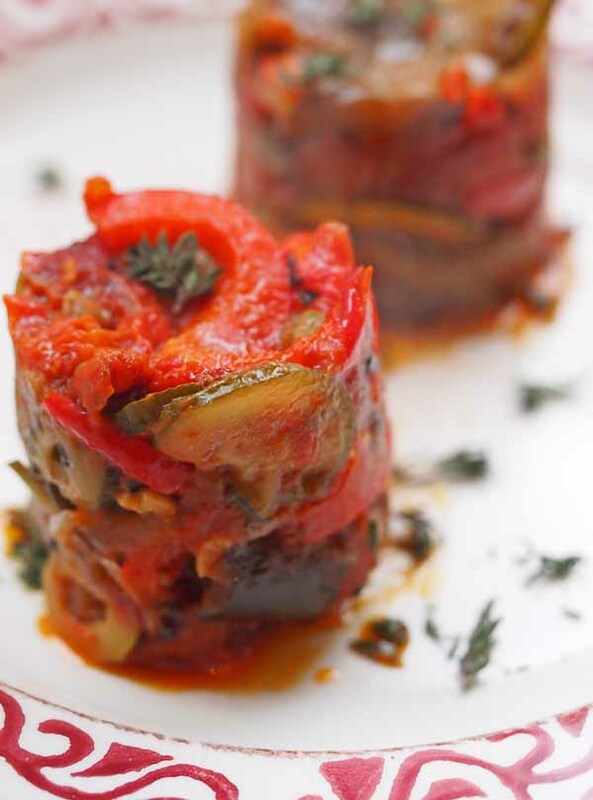 Rich and tasty, this is an all seasons comfort dish that is easy to make and goes a long way. Finely chop the onion and garlic and add them to the pan with the oil and cook for about 4 minutes, you don't want them to burn. 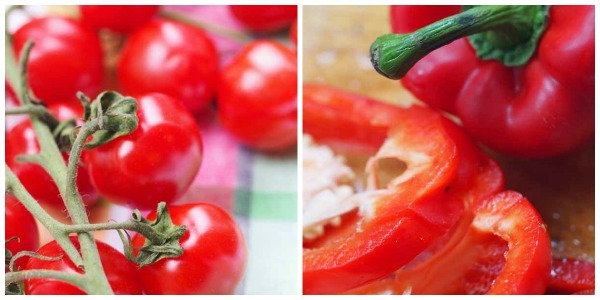 Slice the pepper and chop all the other ingredients and add them to the pan and stir to combine. If all pieces are of similar size they will cook evenly. Season with salt and pepper and add the chopped fresh herbs. Continue cooking at a low simmer for about 30 minutes so that everything is soft and all the flavours have really come together. You can pour into a dish and cook in the oven if you lilke instead. To present in little towers as I have either use presentation rings or just grease a cookie cutter and fill with the hot mixture, pat down so it is quite solid and then slide off the ring carefully. 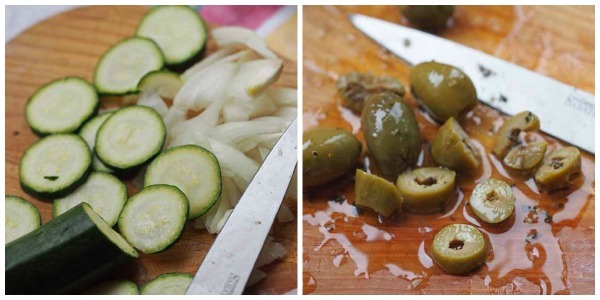 Serve with a scattering of the herbs and some crunch fresh bread. Store cupboard food at its best, just shows that you can make something that looks good and tastes wonderful out of just a few bits and pieces hanging about. Nothing fancy, just yummy!